When applying to any college, you need to write a special essay. It is probably the most personal part of your application which may decide whether you get admitted or rejected. Your application essay is your best chance to demonstrate your strong sides to the admissions committee and to prove to them that you are worth to join the university. This essay must reveal your genuine personality beyond a series of grades and breathes life into your application. It should also explain why the college or the program is perfect for you and what you have to bring to it. Telling about yourself might seem easy to you, but do you know how to impress the admissions officers? Most of them have read hundreds of college application essays and are really hard to surprise. If you don’t want your application to end up in the reject pile, you have to create a brilliant college application essay. But how do you do that? Well, let’s suppose you already know how to write a decent academic paper, but an admission essay is completely different. How long should it be? Which structure should you use? What should you tell? How do you come up with an interesting topic? There’s no reason to worry if you don’t know the answers to all the questions above. Actually, millions of students have no idea how to write a good college application essay! Luckily, there is a perfect solution. We offer professional writing help for those who want to get admitted to a college but lack the necessary writing skills. Reach out to our essay writing service and get a flawless application essay within your deadline! Below, we are going to tell you more about our service and explain how it all works. Getting College Application Essay Help Is a Great Solution! It saves your precious time. You can never benefit from staring at your blank screen. Enjoy hours of free time while a professional writer will be working on your essay! You can study for exams, do your job or simply catch up on sleep. It saves you from stress. Writing college application essays is a daunting task for most applicants. Even if you are a good writer, you may start feeling the first-draft jitters or experience writing anxiety. These feelings won’t help you write a better essay. We suggest you get qualified help at our service and forget about writing-related stress. It improves your writing skills. You can use the delivered piece as a perfect example or a comprehensive template for creating your own application essay. A paper written by our writer may serve you as a source of creative ideas or useful references. It lets you focus on really important things. An essay is not the only component of your admission. You will have to work on your application form, recommendations, list of activities, and other things which are pretty time-consuming. Hire an application essay writer to free up some time for other parts of your college application! It boosts your chances for success. Would you rather go to the school of your dreams or stay at your parents’ house for one more year? Well, if your admission means a lot to you, it’s better to make sure you have a winning application essay. Get a personalized essay from our essay which will definitely turn some heads in the admissions committee! You can find lots of online writing services that offer custom application essay writing. It is pretty hard to decide which service you should use since most of them look pretty similar. MasterPapers, just like other essay companies, offers custom essay writers, fast delivery and full uniqueness of content. However, there are some things that go beyond a regular essay writing service. Our strong guarantees and benefits make us stand out from our competitors. Let us list some of them. We offer all types of writing help. Whether you are looking for application essay writing or college application essay editing, our experts will gladly help you out. Actually, there is no writing task they cannot deal with. Just tell them what you need to be written and receive your paper right when you need it. We are a 100% stress-free service. MasterPapers is the most secure and confidential essay writing website you can ever find. We guarantee that no one will find out you used help with your paper. Below, you can learn more about our security standards. We are a legit and professional service. Our company was established more than 10 years ago. To date, we’ve been providing high-quality ghostwriting and online tutoring services, and we’ve never conflicted with the law. We help you become a better writer. If you are not good at writing application essays, our service can help you acquire outstanding writing skills. Ask our writers for advice and use delivered papers as comprehensive templates for creating your own essays. We set student-friendly prices. We understand that most people who need essay writing help are high school or college students, and we try to make our services affordable for them. Our flexible pricing policy lets each customer buy top-notch essays for cheaper. Also, you can save up to 25% with our occasional discounts. Subscribe to our newsletter to learn about our special offers! We know well that all of our customers don’t want anyone to know they used online application essay help. And we promise to keep that a secret. Read more about our advanced security standards and make sure using our service is a good and 100% safe idea. Strict confidentiality. You will communicate with your support manager and the assigned writer on a no-name basis. Also, we are not going to ask your full name, address or the name of your school on any stage of your order. You will have to provide your paper instructions and your contact details – that’s it. Trustworthy payment methods. We cooperate only with recognized payment providers such as Visa, MasterCard, and PayPal. Use any of them to pay for your application essay. Total security. Our college application essay writing service uses SSL Data Encryption to protect customer data. There is no way the information you share with us will get disclosed. No distribution. We never resell our custom papers. Each paper is created from scratch based on customer instructions and gets deleted in 30 days after delivery. Extra plagiarism check. We use the newest plagiarism detection software to check each paper for uniqueness. Our customers receive papers with 100% uniqueness rate only. With MasterPapers, not only will you be sure about getting a top-quality essay but also in the security of your information. Lots of students understand the benefits of getting professional writing help but still hesitate to order essays online. Some of them simply don’t know how to order a paper that meets all of their requirements, while others are convinced that it’s a difficult and time-consuming process. 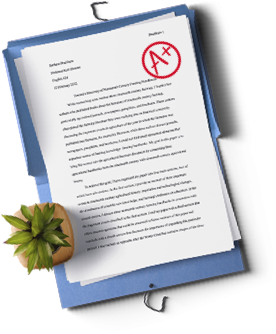 In fact, you can buy application essay with zero plagiarism in less than 15 minutes. You need to follow three simple steps described below in order to receive a brilliant application essay. Step 1. First of all, you need to place an order and provide your paper instructions. Fill in a short order form (you’ll have to specify your academic level, subject, topic, word count, and other paper details) and type detailed instructions in the designated box. Also, you may order any paper via the live chat, Messenger or phone. Step 2. After you submit your order, you need to pay for it. Use a secure payment method, e.g., PayPal, Visa or MasterCard. Right after we receive the payment, one of our experts will start writing a college application essay just for you. You can track the order progress in your account or text the assigned writer at any time. Step 3. We’ll notify you via email or SMS when your order is completed. Log in, download the file and enjoy the best college application essay ever! Don’t hesitate to order a winning application essay from vetted writers! Get rid of the stress and boost your chances of getting admitted to the college of your dreams.